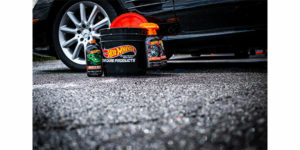 by GMB North America, Inc.
Carparts Distribution Center Acquires Motor Supply Co.
Keystone Automotive Operations has added Hot Wheels Americana Series Car Care Products to its Chemicals category. Americana Pro Detailing Products, a leading automotive appearance care company based in New York, is an official licensee of the Hot Wheels trademark and trade dress owned by Mattel – a global leader in children’s entertainment and the world’s largest toy company. The name behind such franchises as Barbie, Fisher-Price, American Girl and of course, Hot Wheels, Mattel has been designing and producing high-quality products since its founding in 1945. Together, they have launched an introductory lineup of high-quality cleaning and detailing products. Designed to “Clean. Enhance. Protect,” Hot Wheels Americana Series Car Care is manufactured in the United States using professional-grade ingredients and formulas. Products include Hot Wheels Wash & Wax, Epic Shine, All Wheel Cleaner, Pro Tire Cleaner, as well as Pro Tire Finish. Hot Wheels Americana Series Car Care products were revealed at the 2017 SEMA. The line has experienced incredible growth in that short time, Keystone say. During the fall of 2017, it was announced that the Americana Series would be the official car care products of championship-winning John Force Racing, with its branding featured on all four team vehicles. Just a year later, Hot Wheels Car Care partnered with Keystone Automotive Operations to distribute its products at the retail level.